As we drove along US Route 1 in Maine last week, we passed the Ogunquit Playhouse, a regional theater that hosts bus-and-truck touring companies of shows like “Jersey Boys,” “Smokey Joe’s Cafe,” and “An American In Paris.” The marquee outside said the current offering was “Grumpy Old Men: The Musical,” with Sally Struthers and Hal Linden listed among the stars of the show. My wife and I did double takes, first because we didn’t know those two actors were still alive, and second because we couldn’t fathom what they were doing in a musical stage version of the 1993 Jack Lemmon/Walter Matthau movie. Sure, Linden could be a geriatric with an attitude, but was Sally Struthers playing the Ann-Margret part? I had to look it up online, where I discovered that this was the US premiere of “Grumpy Old Men: The Musical,” but neither Struthers nor Linden had a leading role. The Lemmon and Matthau parts of the feuding neighbors John Gustafson and Max Goldman were being played by Ed Dixon and Mark Jacoby, respectively, and Leslie Stevens was handling Ann-Magret’s character Ariel. Sorry to say I don’t know any of their work. Struthers, it turns out, is an Ogunquit Playhouse regular, having appeared there in six shows. Her character in this one is Punky, who IMDb says was in the movie, but I’ll be damned if I can remember her. As for Linden, he’s playing Grandpa Gustafson, the filthy-mouthed curmudgeon so hilariously portrayed on screen by Burgess Meredith. We speculated that Linden and Struthers might be involved only to guarantee them a month of near-vacation in Maine, which is not a bad place to be in August. The Playhouse was sold out during our stay, so we didn’t get a chance to check out the show, but I wonder whether this is a pre-Broadway run or just a production that will tour other regional theaters without ever going to New York. 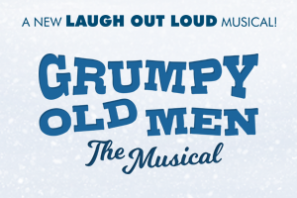 As you can see above, “Grumpy Old Men” was billed as an all-caps LAUGH OUT LOUD musical — the sort of promotion that usually ends up meaning just the opposite.  Any time you have to prime the audience to dust off their funny bones and prepare for hilarity, you may have a problem with the material. Still, if it comes through St. Louis, I might check it out — although by then its supporting cast will probably include Georgia Engel and Mike Farrell.